Why Consider Real Estate in Gordon Head? 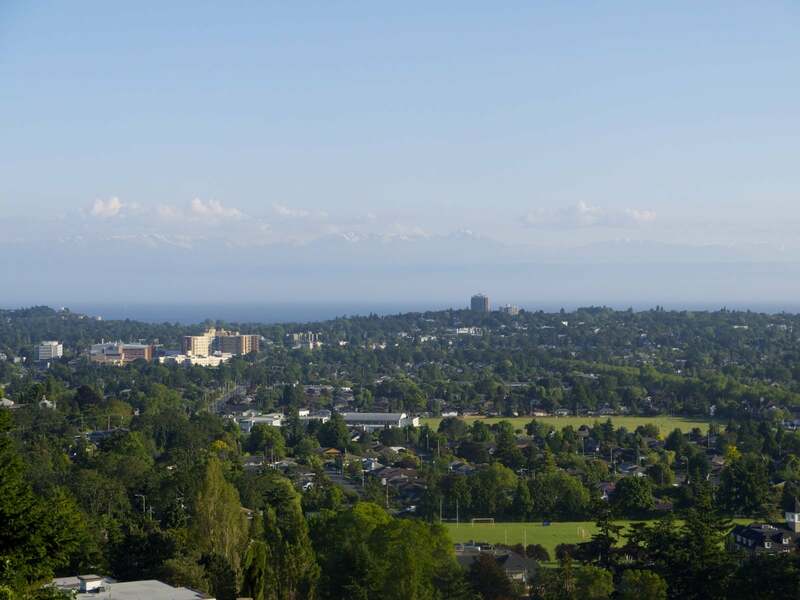 As REALTOR®s in Victoria, we can safely say that the view pictured above, is from one of the best look out spots in town – Mount Tolmie. This mountain could be in your back yard if you live in Gordon Head. In this week’s blog we lay out a few of the top reasons you should consider Gordon Head when looking for your next property in the Victoria real estate market. Gordon Head may be a beautiful residential area today, but it didn’t start off that way! In the mid 1850’s the area was heavily forested and became a heaven for farmers. Over time, green houses and vegetable farming were also introduced to the area and these farms remained until the middle of 1900’s. In the 1950’s, Gordon Head began its transformation into the residential area recognized today. However, not all the farm land has transformed into single family homes! Scattered throughout the area you will still find some farms, which is great for getting farm fresh eggs and produce without needing to go far! For more information about the farms and early families to the area, check out the Saanich archives here. The Gordon Head neighbourhood has attracted families for many years because of the options and great reputations of schools in this area. If you want your children to study in French Immersion, you can send them to Campus View Elementary or Ceader Hill Middle School, or if you are hoping to have access to Montessori education, you can enroll at Maria Montessori Academy. Even if you’re not looking for a specialty school, the music, arts and sports programs at the other schools such as Arbutus Middle School, Gordon Head Middle School, Mount Douglas Secondary and Lambrick Park Secondary combined with their standard academics, will make you feel like you have picked a specialized school!However, Gordon Head doesn’t just offer education for those in K-12, it’s also home to the University of Victoria and only minutes away from Camosun College. As we’ve alluded to, there are great outdoor adventures to be had in Gordon Head. You can go for a short hike up to the summit of Mount Tolmie, or a slightly harder/longer hike up Mount Douglas or through Mount Douglas Park. More interested in gardens? The University of Victoria offers the beautiful Finnerty Gardens. Sometimes you may be looking for more structured recreation and no need to worry Gordon Head has you covered there too! Centrally located sits the Gordon Head Recreation Centre which offers access to pools, a weight room and fitness classes. And of course, one of the major perks of almost all real estate Victoria markets – beaches! Gordon Head offers easy access to many beaches along the coast such as Arbutus Cove, Hollydene, Balmacarra, Queen Alexandra Cove and many more! With all these reasons only showing a fraction of what Gordon Head has to offer, it’s really no surprise that it’s one of the most sought after areas in the Victoria real estate market. If you’ve been considering moving your family or would like more information, reach out and we would be happy to help answer your questions. And if we’ve missed one of your favourite spots in Gordon Head - leave us a comment below!